DLL Files Fixer Review - Does it Really Work? Home Softwares DLL Files Fixer Review – Does it Really Work? DLL file missing errors and corrupted errors are a big headache for every Windows users. Software’s or Games, .dll files are essential to run properly on your Windows Desktop or Laptop. If you are encountering such .dll files missing errors or .dll file corrupted errors, then i have a recommendation for you to fix it quickly by downloading the correct dll files to start and Run the application or game in less than a minute. Dynamic Link Library files contain information catalogs typically shared by different programs installed in a Windows system. We have got a software today that promises to fix all types of dll file missing and corrupted errors nightmare. DLL Files Fixer fixes all your .dll missing or corrupted errors automatically. Also, cleans up your Windows Registry for any associated errors and help your Windows Laptop or Desktop to run smoother and faster. 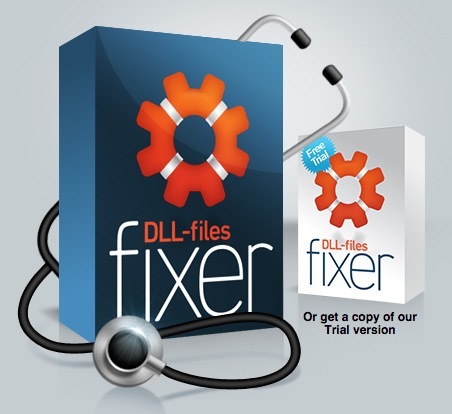 DLL Files Fixer is easy to install and use on Windows XP, Windows Vista, Windows 7 and latest Windows 8 running PCs. It is compatible with both x32 and x64 platforms. When your Windows PC runs without any errors, you will get your work done faster and save power, resources and Internet bandwidth as well. Unlike other DLL errors fixing software, DLL-files Fixer lets you fix any dll errors automatically with a quick search without much efforts. DLL Files Fixer is Updated and has Best GUI that is friendly for Beginner level users as well. Alright, lets explore the list of features that this brilliant software offers. Dll-Files has huge online library with thousands of .dll files readily available to download and install. You can solve any .dll related errors to make your software, games run smoothly. Kaspersky Lab Trusted mark provides guaranteed security for any downloads you make to fix dll errors. When you have Dll-Files Fixer in your PC, it eliminates any dll related errors and system pop up messages in future as well. Repair and Clean your Windows Registry to keep it less in size and have only essential and necessary Registry Entries stored. Remove unwanted, old and junk registry entries automatically by running a quick registry scan. Dll-Files Fixer scan utility helps you optimize PC performance and speed up the Windows PC with a clean and error free registry. By preventing Registry Errors, .dll Errors and Compatibility issues, your Windows PC will run faster and smoother. Dll-Files Fixer 2-in-1 User Interface is designed to help any one easily access all the features. There are few more highlights about DLL files Fixer that i like to mention with this Review. If you have searched for missing .dll files using Dll Files Fixer software and not find it in their library, you can always use their Request a file form to add the missing dll file to their library. You will get a notification via email once its available, and usually they do it faster. When you search in Google or Bing for some .dll files to download and install it in your Windows system, it further opens new problems, issues, especially security problems that are hard to clean up from your computer. Such security problems also put your Sensitive Data, Internet Activity and entire computer in Risk. Never download these core system library files from random or anonymous sources as it is easy for hackers to infect thousands of computers without much effort. Each newly uploaded .dll files and existing .dll files are scanned for malicious codes, spywares and other suspicious codes by Kaspersky Lab. You don’t have to worry about security issues with any dll files you download using DLL files fixer. Does DLL Files Fixer Work as Promised? We tried and found this program works as promised. We searched for dxdiagn.dll to fix a broken software that refused to start running after double clicking the executable file. All we saw was a prompt saying “Dxdiagn.dll not found. Reinstalling application may fix this problem.” It is not easy to re-install the software as we don’t want to loose the application data stored in the PC. When we searched for dxdiagn.dll using DLL Files Fixer, we found the dll file and successfully fixed the error. Now the diagnostic report runs perfect without any errors. You can go ahead and download dll files fixer trial version to check the same. If this software works for you, then you can download the full premium version by selecting dll files fixer license key for 1 year, 2 years or 3 years depending on your requirement. Give this a try and let us know which .dll missing error or compatibility issue you have fixed in your Windows Laptop or Desktop. After installing DLL Files Fixer, if you notice difference in Speed and Performance overall, feel free to share your experience with us in the comment box below. Thank you very much for your time and patience to read our DLL Files Fixer Review and don’t miss the limited time DLL Files Fixer Discount Offers on 2 years and 3 years license keys. Have a wonderful day.